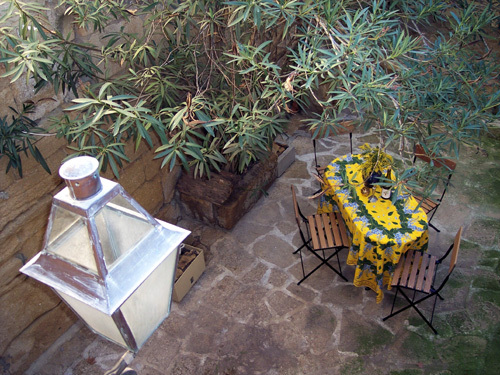 Our "cour" or courtyard is off the salon. 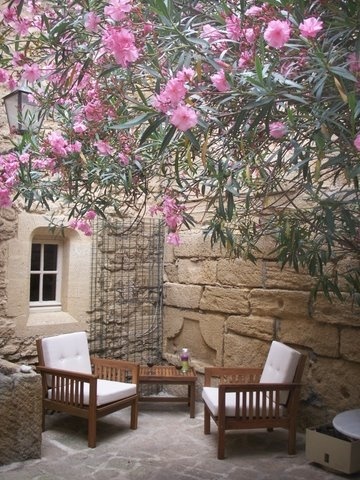 What a peaceful place to spend a hour or two reading and sipping a cool glass of rose. Lunch or dinner are perfect in this outdoor setting as well. The table seats six easily. Go ahead, invite some new friends or neighbors for a cocktail, or dinner under the stars. Stack some charcoal or wood in the BBQ and get ready for great steaks or burgers. 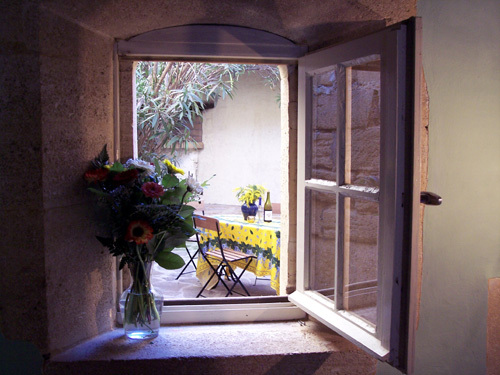 Add some fresh, local veggies and you've got a fabulous meal to accent your holiday in Provence. The BBQ is also great for making "pizza on the grill", a favorite of ours. You can scrub up the veggies in the authentic old stone sink against the north wall of the courtyard. It's also great for reviving the bouquets you picked up at the market. 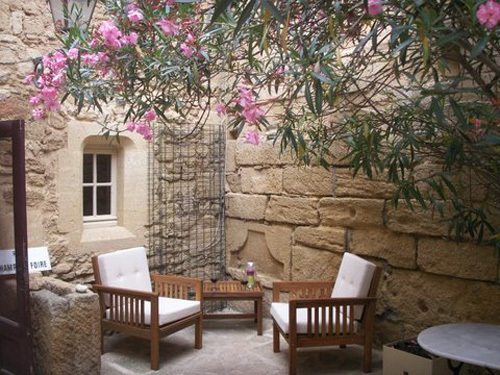 The courtyard was laid out by the former owner who did all the original work to transform the house from the tonnellier or cooperage that it was to a vacation retreat. The courtyard - ready when you are.